The summer season has started off with a bang, and as usual there is never a dull moment on the homestead. I am off of work for the summer and have enjoyed having extra time around the house. We have had an early heat wave though and it has been too hot to get much done outside unless it gets done early. This has given me time to work on projects in the house which we have been putting off. I have also been working on a homesteading binder to help us keep all of our inventories, records, and ideas in one place, rather than scattered all over the house and on the computer as they are now. I got some great ideas on Pinterest and think this will become a valuable resource. We rescued a little goat and he has brought us lots of joy. Michael found him wandering on a very busy road near our house. We took care of him a couple of days while trying to locate the owner. We finally found some notices for him and found out this poor lady adopted him but they couldn’t have him in their neighborhood. She gave him to some people and he got out of their lot, but they weren’t keen on trying to find him. She wanted to find him to make sure he was okay, so Michael talked to her and she came by to see how Geoffrey was doing and was happy we found him. So little Geoffrey has a new happy home. He is getting on well with the chickens, ducks, and rabbits, but we’d like to find him a friend soon. Michael also found 8 baby broiler chicks for free on Craigslist which we also adopted. They were a second grade class project on life-cycles and needed a home once they hatched. We are going to try our hand at raising them strictly for meat, no names. When the time comes, we will have eight freezer chickens which will be great for the fall. 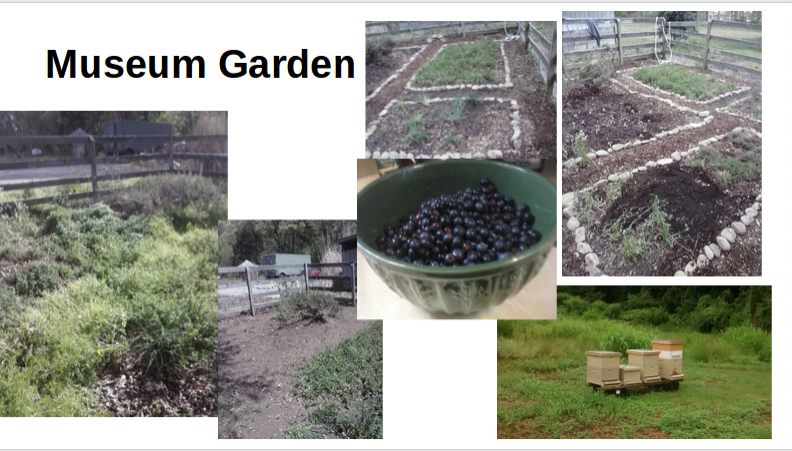 We are also so proud to have shared our homesteading exploits with a summer camp for tenth and eleventh graders. Michael has a friend who works with the Design Camp at NCSU, and she needed a last-minute speaker from the restaurant industry to talk about food and sustainability. Michael agreed to do it and we prepared a presentation about his work at the Art Museum, what we do at home, and our overall philosophy about local food and simple living. I wasn’t able to attend but he said it was a great experience sharing what we do with these high school kids and that they were very interested and engaged. We’re so happy to share our lifestyle and encourage others to leave a smaller footprint and connect with their food, and to do this with passionate high schoolers is even more rewarding. In other news, we want to buy a house with the intention of homesteading on it. It is such a big task! There is not a lot of inventory in our area right now and everything is moving fast. This has become my new full-time job. We currently rent from people we know, which has worked out great, but we are ready to have our own place. Trying to find the right house in the right place so we can do all of the fun things we love doing with all of our animals has been a real challenge, but I know we will find the right one. This has given us the opportunity to really articulate and identify what our long-term goals for the homestead are and think about the things we really need, instead of just what we think we want. We will be looking at a couple of places this weekend and hope we will have some luck.